Everyone heads to the Gulf beaches in the summer. 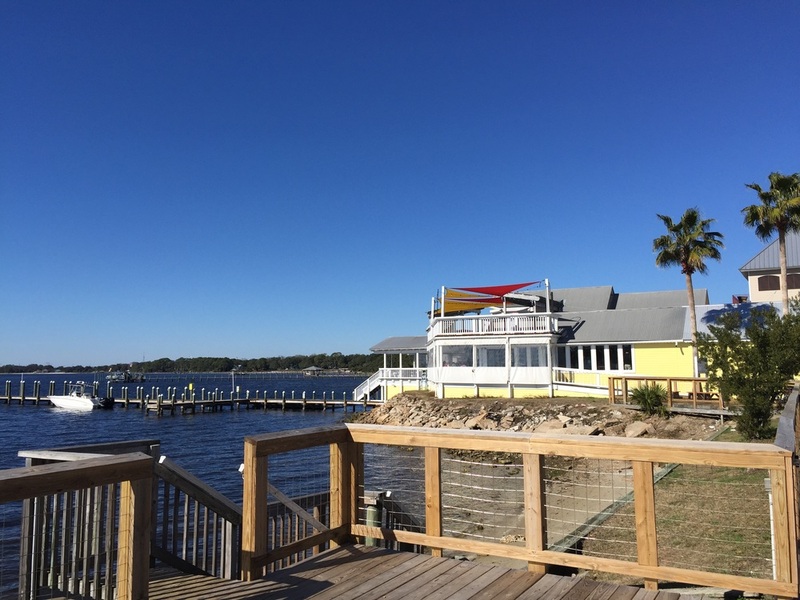 But have you ever considered taking a week, or even a weekend this winter, and heading south to areas like Destin, Sandestin, Rosemary Beach, or Panama City Beach? 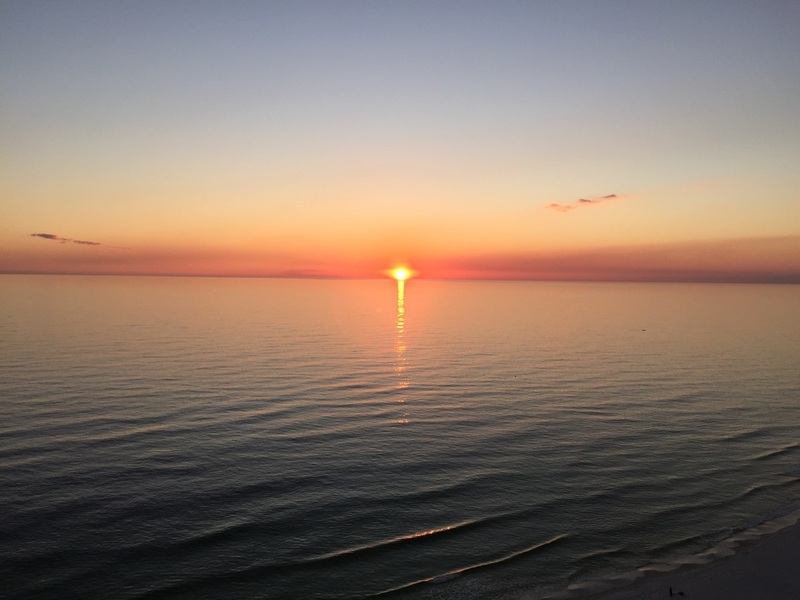 We've spent all of January in Panama City Beach; you can view a few pictures here. It was a great way to kickoff our 2015. 1. Not crowded. Beaches are empty. Parking is prevalent. Traffic is nil. 2. No lines at all the popular restaurants. This makes eating with kids so much easier. We can go at dinner time and be home by bedtime. In past beach visits, we've waited as long as 2.5 hrs to be seated with starving, crabby, sweaty kids. By the time the food came, they were so grumpy, we vowed to eat in for the rest of the trip. The summer lines and crowds ruined the dining experience for us. 3. Even if it's chilly out, when the sun is shining it can feel quite warm all day. And by chilly, we mean 55-60 degrees. 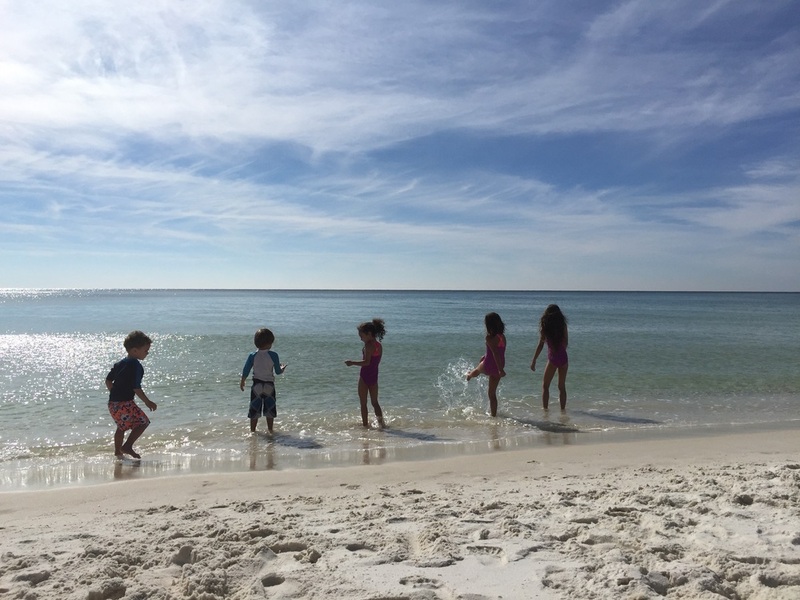 There have been a few days when the kids have played in the ocean, and many vacation rentals have heated pools. There's nothing like hanging out at the beach or pool all day in January. 4. The weather is not blazing hot or humid, so long walks on the beach are doable in the winter. Ever try to do that during the summer? If you can get past the burning sand, dehydration, and extreme sunburn, you might be able to enjoy a quick 10 min jog. 5. It's peaceful. Watch the snowbirds walk hand-in-hand on the beach. Read a book. 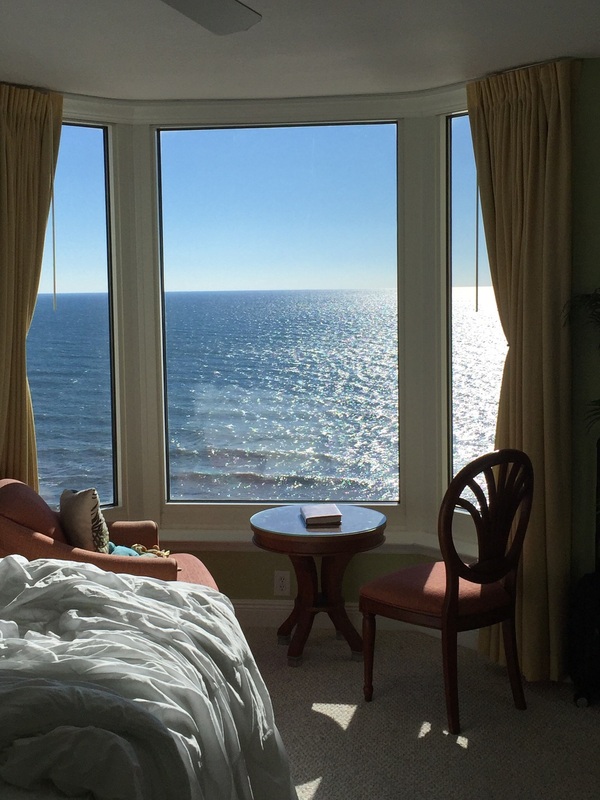 Drink a glass of wine on your balcony, and don't worry about having to fight off the obnoxious summer parties that so often plague gulf front rentals. 6. The seafood is great. Fresh fish and oysters taste better than the winter stews and chili you would normally be eating in January. 7. Sunsets. During a season when days are short and nightfall comes before 5pm, the sunsets don't fail to improve your winter blues. 8. Cheaper rates for condos right on the beach. We can't wait to share the gulf front vacation rental we stayed in this month (an upcoming post). There's no way our budget could ever allow us a month in the exact same condo during the summer. Even more appealing, we paid less for our month-long stay than we would for just one week in the summer. The rental was $1500/month of January. At summer's peak, the same condo rents for $2000/week. 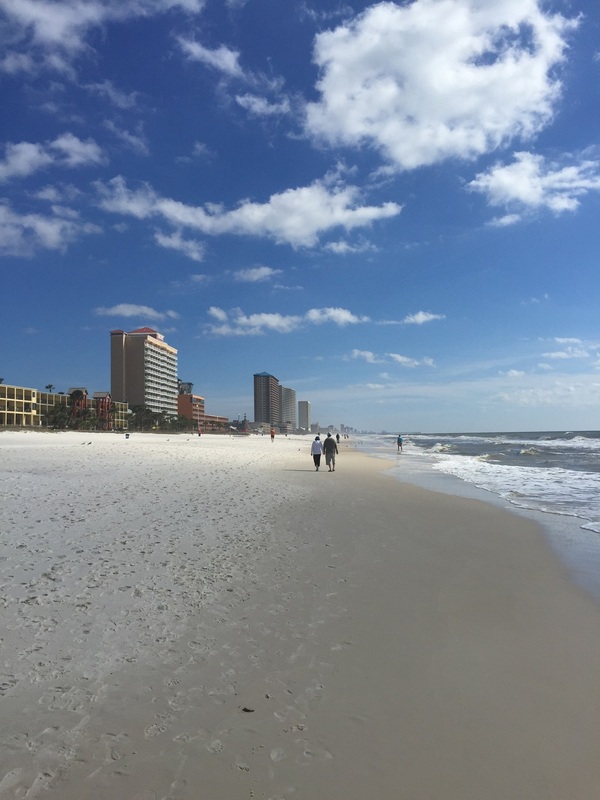 So, if you were thinking of vacationing this winter, check out the Gulf beaches. Rates remain low until March, then spike for Spring Break weeks. Rates drop back down mid-April up until Memorial Day. That would be another mellow, and even warmer, time to head south to the Gulf before the summer season!